BAGUIO CITY – Creep it Real this Halloween with Toy Kingdom’s latest collection of Scary Suits, Magical Dresses, Pixie Wings and Spooky Hats that will bring a fresh new look to trick or treat chills and thrills. There are Magical Dresses that transform little girls into Goddesses, Shimmering Princesses, Mermaids and Magical Rainbow Unicorns. Pixie Wings- Forest Wings and Butterfly Wings with Masks will bring your look to greater heights. Toy Kingdom’s Scary Suits – Organ Skeleton Jumpsuit, Devil Boy and Halloween Cape – are fun and frightening; while Dino Tails and Pterosaur Masks and Spooky Hats like the Rainbow Unicorn Wig and Chameleon Hat –complete your Halloween haunting. Check out Toy Kingdom’s latest spooky Halloween collection, and get a chance to join in the fun. 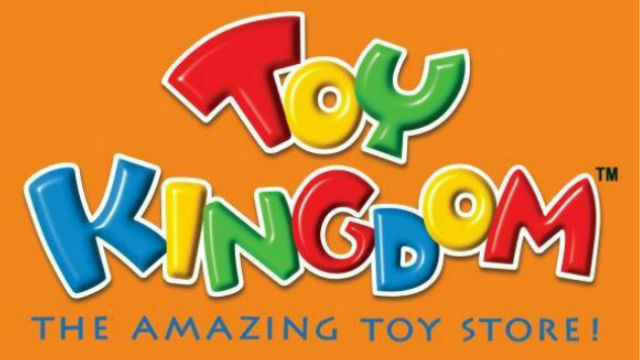 A minimum single receipt purchase of P 1,000 worth of any toy (inclusive of Halloween items) from participating Toy Kingdom stores and Toy Kingdom Express outlets entitle shoppers to two free tickets at Nickelodeon “TakoTown” at SMX Aura on October 31. This is ongoing until October 31. Toy Kingdom likewise invites shoppers to turn scaring into caring this Halloween with “Trick or Treat for UNICEF.” Donate in various Toy Kingdom Stores and help children in need from UNICEF. Toy Kingdom’s latest Halloween costumes and finds are now available at all Toy Kingdom Stores in most SM Supermalls and Toy Kingdom Express outlets in The SM Stores. For more updates, visit www.toykingdom.ph and follow ToyKingdomPH on Facebook and Instagram.